HITA Awards 2018 MSP Fiona Hyslop, (centre) with all the winners. HITA Awards 2018 Picture: Gair Fraser. Image No. 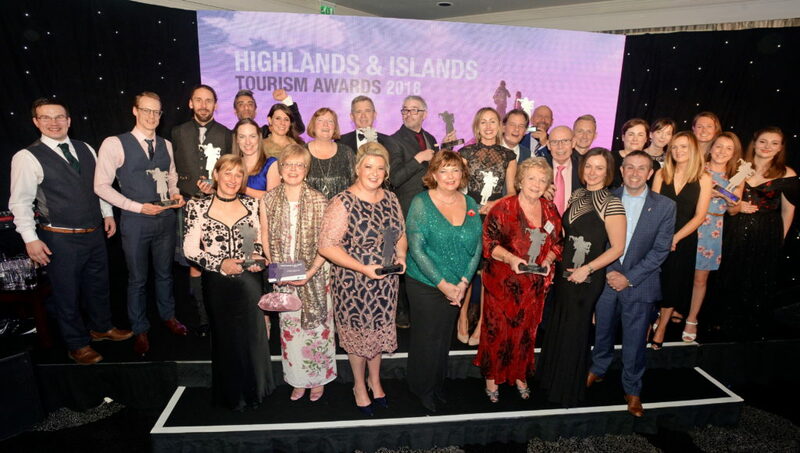 Argyll and the Isles tourism businesses have been celebrating following the 2018 Highlands and Islands Tourism Awards (HITA). 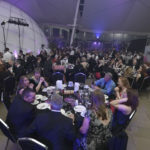 Held in the Kingsmill Hotel in Inverness, in association with SSE, 16 Argyll businesses had been shortlisted and gathered around four tables on the night to cheer on colleagues and celebrate five winners out of 14 categories. 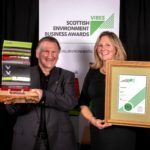 Iain Jurgensen, chairman of Argyll and the Isles Tourism Cooperative (AITC), said: ‘It was a great night for Argyll’s tourism businesses with so many winners and finalists gaining well-deserved recognition for their exemplar businesses. 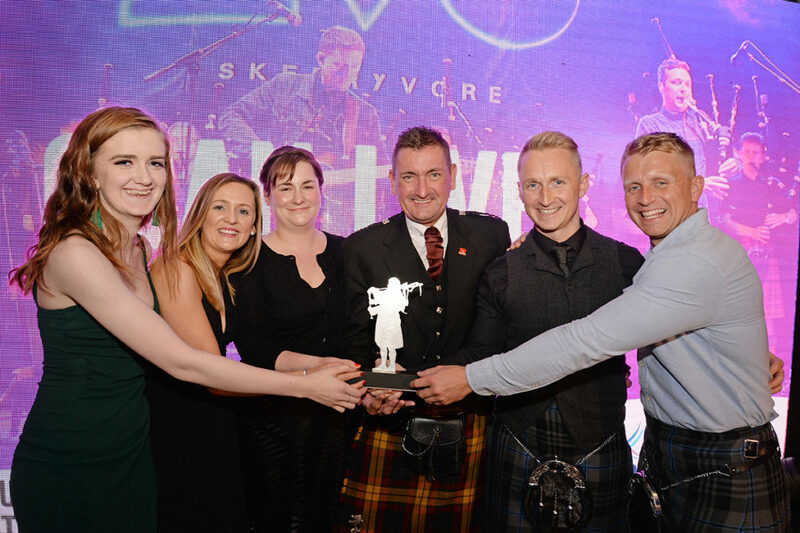 John McNulty, of Etive Restaurant in Oban, was joint winner of the Rising Star Trophy and Mull Eagle Watch took to the stage to pick up the trophy for Working Together for Tourism. Emma Clark of Glenegedale House on Islay was the very proud winner of the Tourism and Hospitality Hero of 2018, with Alice Gill of Lodge on Loch Goil also a finalist in this category. Fiona Hyslop, the Cabinet Secretary for Culture, Tourism and External Affairs, attended the event and personally congratulated Emma Clark, whom she had stayed with on Islay during the recent First World War commemoration events. 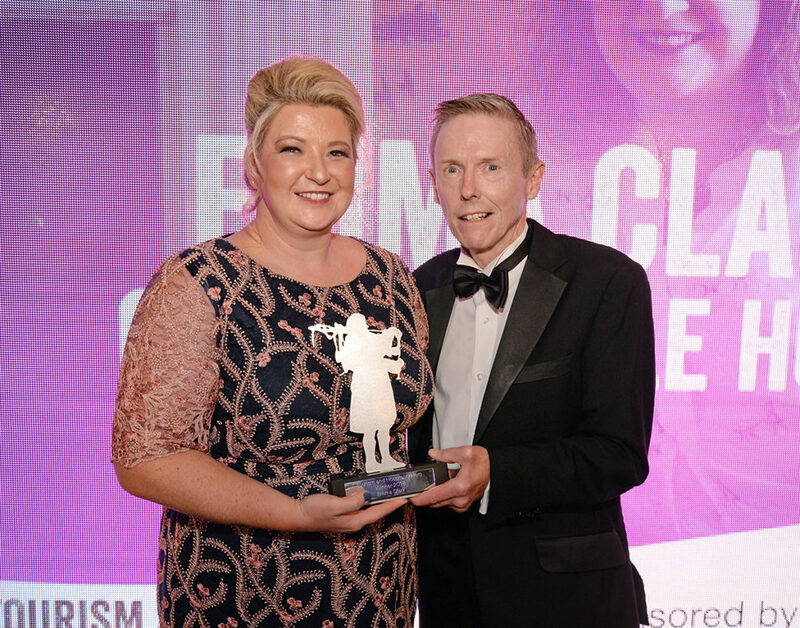 Emma said: ‘What a fantastic honour to be not only recognised but to go on and win the coveted Hospitality and Tourism Hero at the Highlands and Islands Tourism Awards for 2018. Argyll businesses joined forces to share several Argyll tables for the awards dinner with a special request from AITC to be located together. 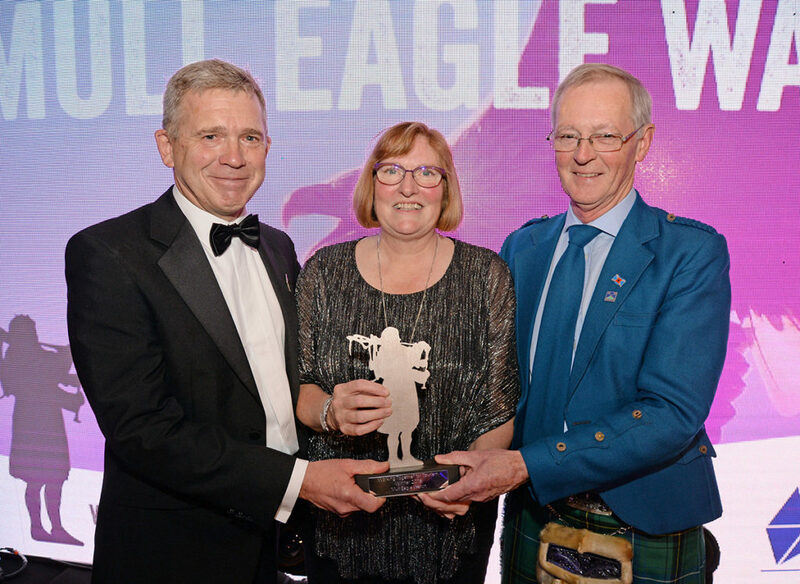 Dave Sexton, from Mull Eagle Watch, said: ‘We were literally speechless with surprise when the Award’s Sponsor Highland Council announced Mull Eagle Watch as the winner of the Working Together for Tourism Award. ‘On Mull, our partnership works hard with other businesses, host sites, government agencies, NGOs, Marketing Mull and Iona, AITC and community enterprises to promote Mull as the number one wildlife watching destination in the UK. 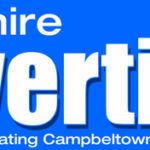 The full list of Argyll businesses and individuals who were finalists is as follows. Portavadie, Loch Fyne; Clan Cottages, Oban; Oban Live; Jura Music Festival; Ninth Wave Restaurant, Mull; St Hilda Sea Adventures, Oban; Basking Shark Scotland, Oban; Nature Scotland, Mull; Majestic Line, Argyll; Glenegedale House, Islay; Mull Eagle Watch; Argyll and the Isles Tourism Cooperative Ltd; John McNulty, Taynuilt Hotel; Emma Clark, Glenegedale House; Alice Gill, Lodge on Loch Goil. 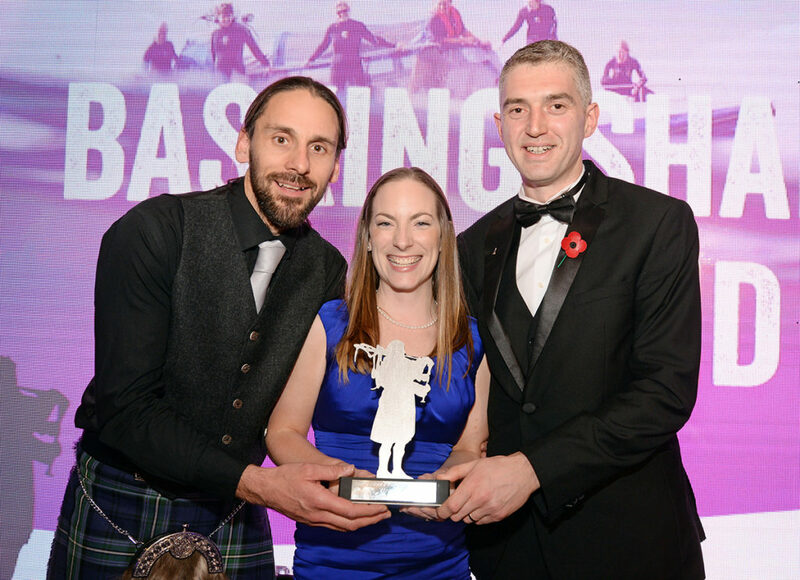 Emma Clark, Basking Shark Scotland, Mull Eagle Watch and Oban Live will now automatically become a finalist in the Scottish Thistle Awards in Glasgow next March.